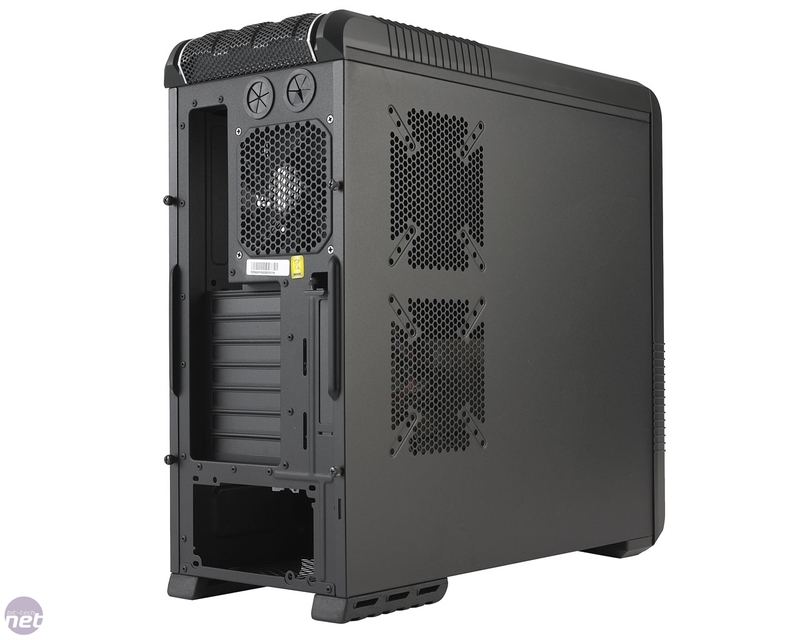 While many chassis manufacturers made do in 2009 by tweaking or rebranding existing products, Cooler Master has continued to add to its every growing range of cases throughout the last eighteen months, with the results commonly reaching an almost uniformly high standard. 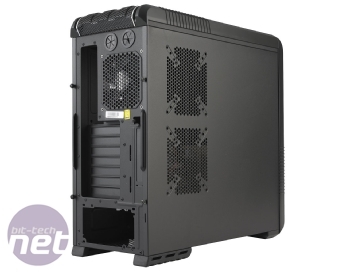 The HAF 932 and HAF 922 are both excellent when it comes to cool and expandable chassis. 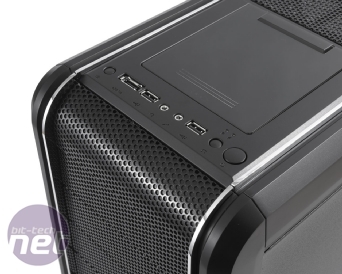 Meanwhile, the Cooler Master Sniper, while pricey, offered some unique and attractive features alongside typically solid Cooler Master build quality. 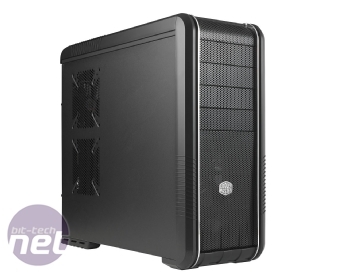 The latest addition to Cooler Master’s stable is more of a redesign than an entirely new case though, although the tweaks are more substantial than just a different paint job or extra few fans. 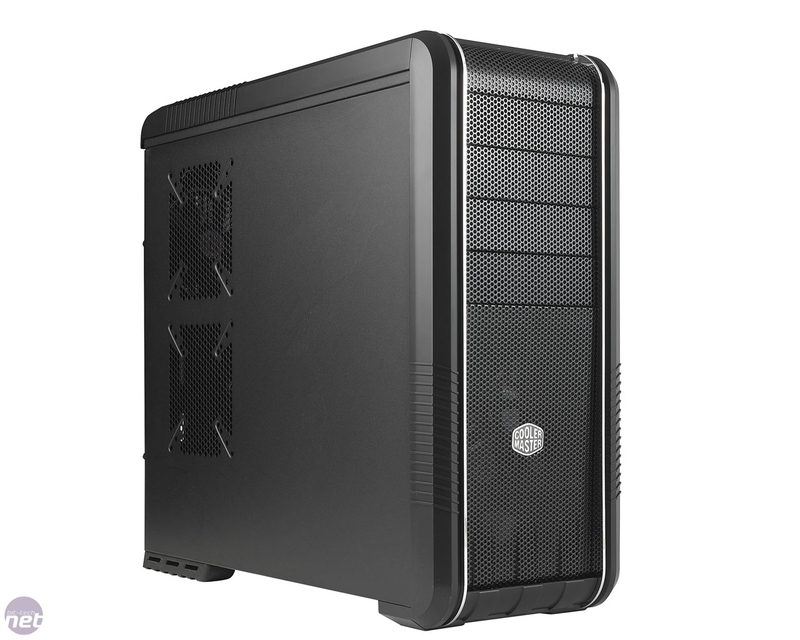 Cooler Master has taken the aging yet still popular Cooler Master CM 690 and added a fistful of new features and improvements to bring it up to date. From the outset we think you’ll agree the CM 690 II Advanced (which we’ll from now on call the CM 690 II) is a much more stylish case than Cooler Master’s aggressively styled efforts, such as the HAF 932. Unostentatious fan mounts are all that break the otherwise smooth steel of the side panels, while the curved plastic and metal-mesh front fascia give a much sleeker look. The roof mirrors the styling of the front, as it’s also heavily meshed due to two 140mm fan mounts beneath (one 140mm fan is already present). Toward the front of the roof, the mesh is replaced by solid metal. It’s here that you’ll find the front panel, featuring two USB 2 ports, an unpowered eSATA connection, a pair of headset mini-jacks, power and reset buttons (and corresponding LEDS) and even a button to independently control the front mounted 140mm fan’s blue LED lighting. This is a feature carried over from the CM Storm range of cases, including the CM Scout and Sniper. What’s really unique about the CM 690 II’s roof panel is that it sports an exterior SATA hard disk mount, which is compatible with any 2.5in or 3.5in SATA hard disk or SSD. To use the bay (which will be hot-swappable, as long as you set your motherboard to ACHI mode), you just remove the cover plate and slide the drive onto the standard SATA data and power connectors – easy as that. The bay is a great idea, especially if you’re the guy (or girl) people go to for hard disk checks, or if you’ve got a stack of hard disks you want to use as external storage. The bay is clearly designed for temporary use, as the cover won’t slide back into place, even if a small 2.5in laptop disk or SSD is fitted. Both the front and the top fascias are removable to allow easy access to the fan mounts and drive bays beneath them, the front lifting free with a strong tug at the base, and the roof secured with interior clips. The front fascia is mercifully fitted with removable dust filter material (secured with bent metal clips) and hides a clever multi-purpose fan mount capable of housing either a 140mm fan (fitted as standard), a 120mm fan or two 80mm fans. This gives you plenty of flexibility to use the cooling hardware of choice. The two roof fan mounts are also very flexible, supporting either two 140mm fans or two 120mm fans, as well as an option for a dual 120mm radiator. And that’s not “we support watercooling” – we checked this, and while slimer ones are required, it really does fit. The external fan mounts don’t stop there, with the left-hand side panel sporting two more of these multi-function fan mounts – you could use anything from a pair of 80mm to a pair of 140mm fans. Even the CPU socket gets some direct cooling, with an 80mm fan mount behind it on right-hand side panel. 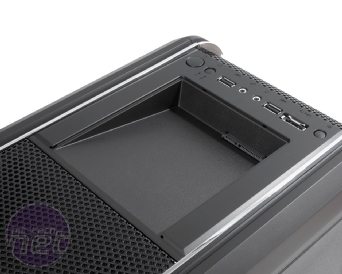 As with all Cooler Master cases, there’s a large hole in the motherboard tray behind the CPU socket – great for fitting CPU coolers that require backplates without having to remove your motherboard. Needless to say then that the CM 690 II’s cooling potential is massive, and this is only helped by the typically dependable Cooler Master build quality. Away from the plastic and metal-mesh front and roof fascias, the rest of the case is made of hard-wearing black painted steel that’s pleasingly tough. The whole case feels extremely solid, with no easily bowed or wobbly panels of any kind; the short of it is, we found it hard to fault here. 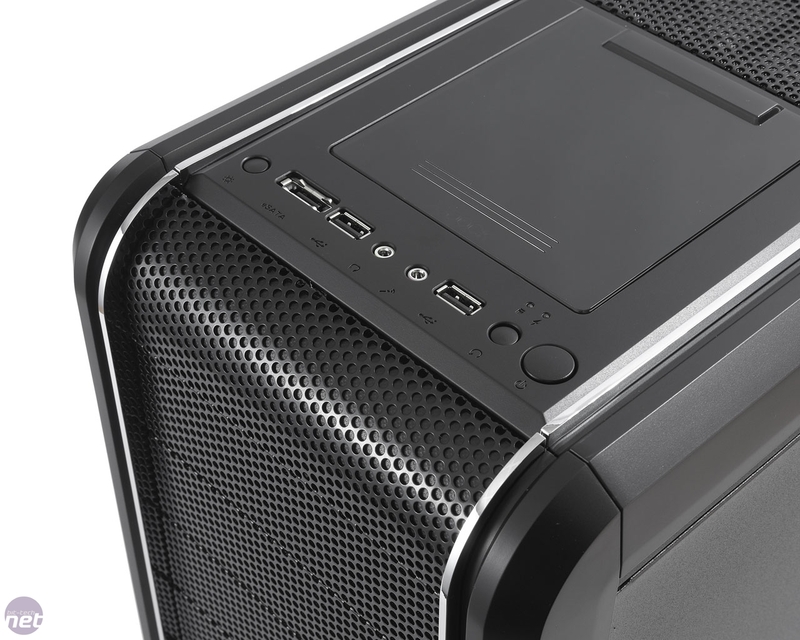 Cooler Master returns with another update to the trusty CM 690 chassis. SilverStone has finally made a successor to the legendary TJ07.